I had occasion to get into this pretty good, as one direction was not working. I spent some time on it and thought I would share the experience. I had cleaned and rebuilt the power seat clutch mechanism previously and it worked OK. The FSM is good on that as far as keeping things synchronized. The switch is a very rugged switch inside and there is not too much to go wrong. 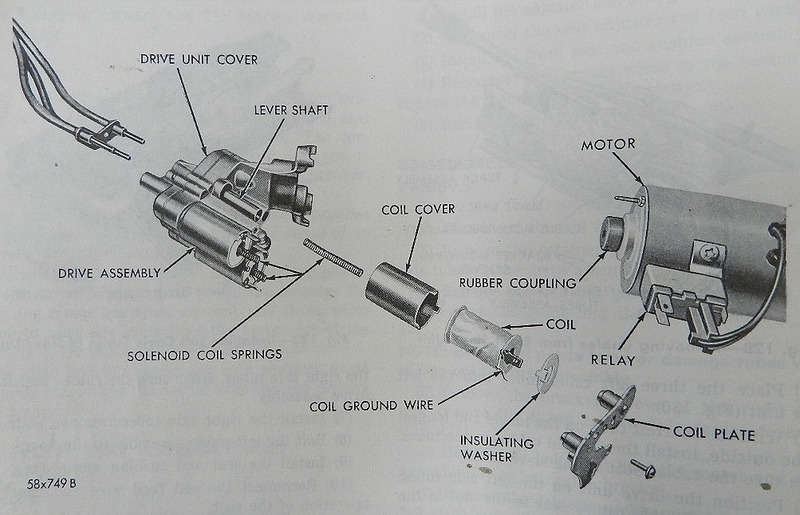 The sliding copper spring loaded shoes connect wires to 12v in various clever ways. The system has three clutches, two motor directions to create four motions. The red wire is +12 volts and you can test the switch by energizing that wire on the male switch plug. Look for output on all other wires at least once for all combinations of up/down/front/back. 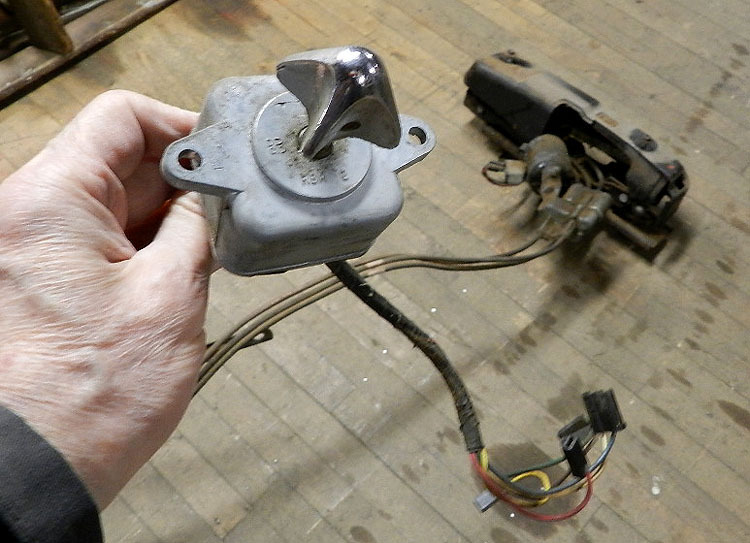 The factory test scheme (in the factory service manual) is complicated with a lot of jumpers but you can test the switch itself quickly for 90% of what might go wrong. 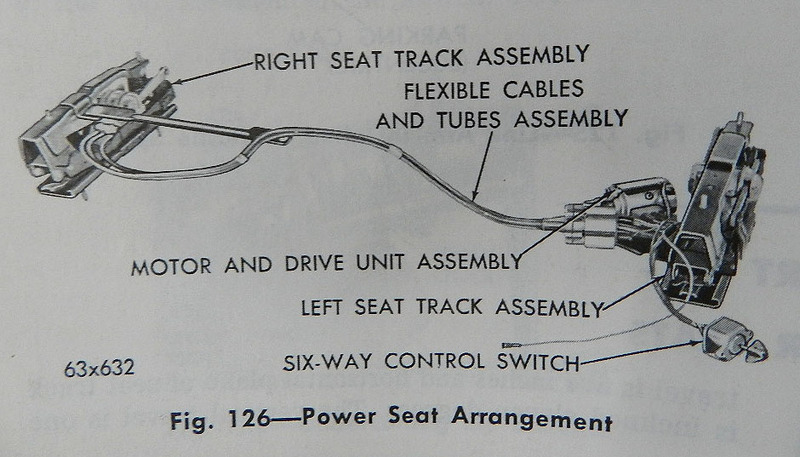 The pictures used here are from the 1963 factory service manual section 8-66. Some wires are live in several positions. In my case the yellow wire was dead. I opened switch by bending back the crimps, and much to my surprise springs and contacts flew everywhere (!!!!). Great despair! I lost one of the 4 tiny springs. But after careful examination, by putting body face up in vise and lightly gluing springs into locating holes (only on top turn of spring, using weather-strip adhesive) I got it together. I took a spring from inside my tiny needle nose pliers handle to replace lost one. Inside the switch, I could find nothing wrong! The contacts look like new. I think what happened is oxidation on one of the contacts. Next time I think vigorous working this switch back and forth 50 times will fix it! Slide type contacts should clean themselves. I added a drop of 75 weight oil where knob shaft goes in, and it all moves much better. After reassembly, I noticed the solder job by factory was very poor where wires attach to tabs on the back. I resoldered them and the switch is working OK now. This might have been the problem. 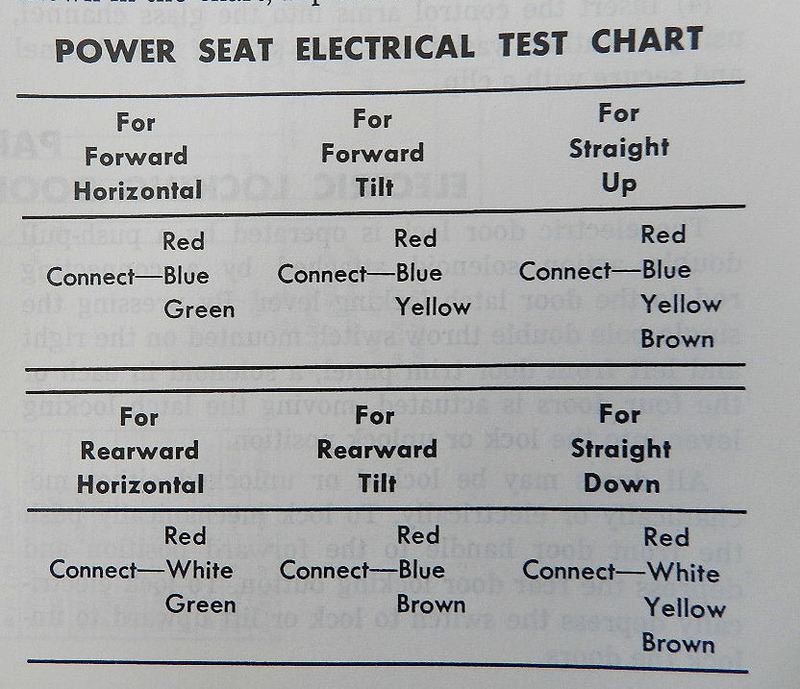 I hope this helps somebody frustrated by power seats. One more 300 item down!